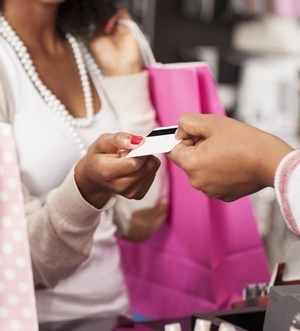 The purchasing power of South African households’ net wealth increased by R60.2bn over the period from the end of the first quarter of 2018 to the end of the second quarter despite the economy slumping into recession. This is one of the findings of the Momentum-Unisa Household New Wealth Index. The main reason for this improvement is given as an increase of R46.5bn in the real value of households’ assets. At the same time, the real value of households’ liabilities - mostly outstanding debt - decreased by R13.7bn. The real value of household net wealth is obtained by subtracting the real value of their liabilities - mostly their outstanding credit and other debts - from the real value of their assets - mostly of the real values of their retirement funds, financial investments and residential properties. The real value of household assets was boosted by an increase in the real value of households' investments - specifically in retirement funds - which benefitted from an increase in share prices of the resources sector in particular. These share prices received support from the rand exchange rate, which depreciated by almost 14% against the dollar over the period, offsetting declining commodity prices. The real value of households’ residential assets did not receive much support over the quarter. House prices contracted in real terms, while real investments in the residential sector also declined. According to FNB’s House Price Index, real house prices was 0.5% lower compared to a year ago, and virtually unchanged compared to the first quarter of 2018. Furthermore, real fixed capital formation in the residential sector contracted by 6.5% in the second quarter of 2018 compared to the first quarter. "The weak state of the economy and in consumer finances, as well as uncertainty about land reform, are factors that combined to the weak performance of real household residential assets," says the report. Households' outstanding liabilities continued to increase at a slower pace than household consumption expenditure inflation. This situation – whereby outstanding household debt increases at a slower pace than inflation – is indicative of consumer finances being under pressure, according to the report. The report predicts that preliminary estimates point to a decline in the real value of household assets during the third quarter of 2018 as share prices tumbled over this quarter, while real house price growth remained negative.